It’s time to ring in 2018, a new year filled with endless dreams and opportunities. This fresh start is a perfect time to push your limits and do something you never thought you could be able to do before. Encourage your community to help out. If one person can make a big difference, imagine what a whole community working towards one goal could make. Even after Salvador Gómez Colón’s town was devastated and he and his family were struggling themselves, Salvador wanted to help others as well. 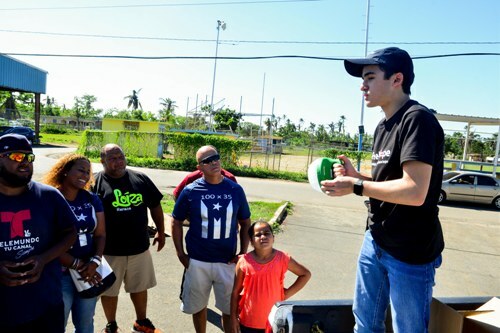 With help of his mother and nonprofit founder Neha Misra, he launched the “Light and Hope for Puerto Rico” campaign. Within two months, the campaign has raised a stunning $93,690. Read more to find out about Salvador and his story! Three months after Hurricane Maria hit Puerto Rico, Puerto Ricans are still in need of aid and donations. In many places, Salvador says, even buying fresh food is difficult. Residents go grocery shopping on different days of the week as shipments of food come in at various times. Salvador focused on the unstable electricity and Internet. When he was finished with his fundraising campaign drafts and was going to send it to Ms. Misra, his mentor in the project, the text messages took hours to send. Phone calls, too, had an unstable connection. Twenty percent of the cell towers in Puerto Rico had survived the hurricane. After Hurricane Irma had hit, Salvador began to feel sad watching as a sunny day slowly turned into dark, with no light around. He describes realizing “light is an emotional and physical companion,” a role that even friends and family could not fill. Salvador was not alone in his thought, as it threatened the emotional safety of other Puerto Rican residents as well. The money that is donated will be used to purchase solar lamps and washing machines. The solar lamps will help Puerto Ricans be able to see after dusk, and it could help protect them in case of an emergency. The washing machines have a more symbolic meaning. 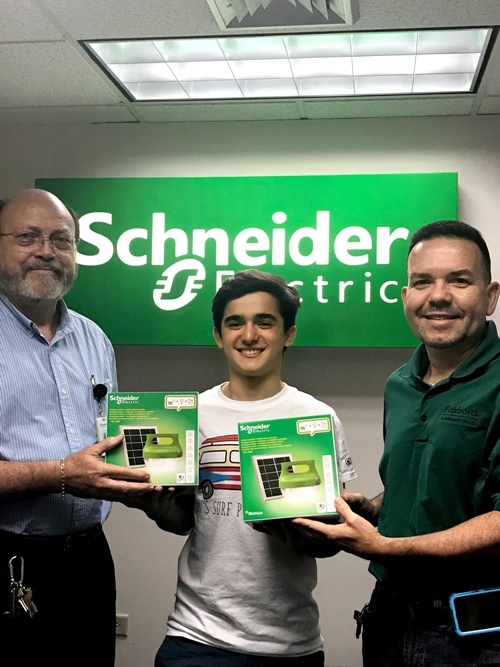 Salvador says that the need and purchase of washing machines “create awareness about fundamental resources and parts of our daily life that many people are lacking.” It also is helping ward away the potential transfer of germs. 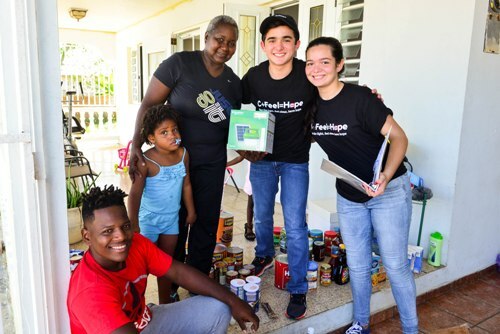 The shipment of items has been sent to areas most in need, including coastal Loiza, which was affected by Hurricane Irma as well as Hurricane Maria, and mountainous areas that have not received much aid because of their hard-to-reach locations. Salvador is a participant of Model United Nations, a program that lets students get a feel for diplomacy. He says Model UN gives him an opportunity to do what he’s passionate about: “defending rights, finding solutions to global issues, and creating resolutions to provide better opportunities.” When he grows up, Salvador wants to continue to serve others by becoming a doctor or public health advocate. In addition, he loves to photograph and swim. Last year, Ms. Misra had shared the quote “One person can make a difference, and everyone should try” with Salvador and his mother. And one year later, Salvador has been able to make a big difference in people’s lives. You, too, can make a huge impact. Like Salvador said, your age doesn’t matter when you’re working toward something. The new year provides a new beginning, a new opportunity to do something new and meaningful. It might be one small thing, but to someone else, it could mean the world. After living in the hard aftermath of Hurricane Maria, Salvador has some advice for those facing tough situations as well. He says, “even in the midst of difficulties or uncertainty, things could always get better.” When working on your dreams, don’t be afraid by a few obstacles. With perseverance, you will succeed. We wish Salvador best of luck on his journey! If you are interested in supporting Salvador’s campaign, here’s the link!